The Harvard University endowment reported a 2 percent loss on its investments for fiscal 2016. The Harvard University endowment reported a 2 percent loss on its investments for fiscal 2016 and warned that returns may be lackluster for some time. The world’s largest college endowment, which is in transition as it searches for a new chief executive, had its worst year since 2009. Over the past decade, it would have made more money if it had simply invested in a big basket of US stocks and bonds. Executives at Harvard Management declined to say when a new leader would be named. Stephen Blyth stepped down as chief in July, after a medical leave and just 17 months in the role. He had been promoted to the job in January 2015, succeeding Jane Mendillo, who had led the fund through steep losses in the financial crisis. For the 12 months ended June 30, Harvard’s 2 percent loss compared with a 2.3 percent gain in a hypothetical portfolio of 60 percent global stocks and 40 percent global bonds. If the money had been invested just in the US stock market, it would have gained 5 percent. The smaller but successful $13.2 billion MIT endowment had a slight gain last year, of 0.8 percent. 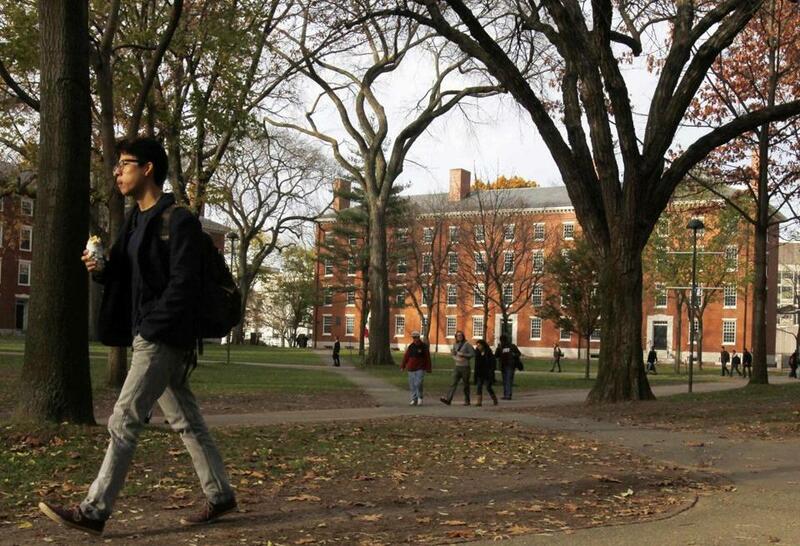 Some of Harvard’s other key rivals, such as Yale University and Stanford University, have not yet reported results. The $63 billion Massachusetts state pension fund posted a 2.3 percent gain for the fiscal year. The one-year median performance for foundations and endowments tracked by the Wilshire Trust Universe Comparison Service was negative 0.3 percent. What’s troubling for managers who subscribe to the widely diversified style of large endowments — with holdings in private equity, real estate, hedge funds, and natural resources — is how poorly they have done, relative to simply putting money in stocks and bonds. The idea is to spread out risk, but in the decade that includes the global declines of the 2008-2009 crisis, Harvard would have been better off just owning US stocks and bonds over one, three, and five years. Over five years the difference is even bigger, with Harvard at 5.9 percent and the US markets delivering an annualized gain of 8.9 percent. Charles Skorina, a San Francisco executive recruiter who closely follows Harvard and other large endowments, thinks Harvard Management can no longer justify its large staff of more than 200 and high salaries, given its results. Harvard’s equity managers — both internal and external — underperformed, producing a 10.2 percent loss, compared with a 6.1 percent decline for their benchmarks. The endowment manager in June said it would eliminate its internal US stock team. But even its outside managers “underperformed for the first time in many years,’’ Ettl wrote in the report. Natural resources investments also dove 10.2 percent, while their benchmarks were up 1.4 percent. Ettl blamed the losses on the drought affecting crops in South America, poor business conditions there generally, and low commodity prices. But the natural resources investment team also went through major turnover in the past year. The best performing asset class was Harvard’s direct real estate investment program, which was started under Mendillo and now represents half that part of the portfolio. Overall, real estate returned 13.8 percent; the strategy of investing in properties directly, rather than through a fund, produced a 20.2 percent gain, Harvard Management said. Private equity investments, which represent the fund’s largest single bet, at 20 percent of the endowment, were up just 2.6 percent for the year. Ettl said Harvard is looking to concentrate its holdings in the sector with top managers. “We have taken clear steps to strengthen our organization and improve investment performance over the long term,” Ettl wrote. The endowment distributed $1.7 billion to Harvard for the year, contributing more than one-third of the university’s total operating revenue.